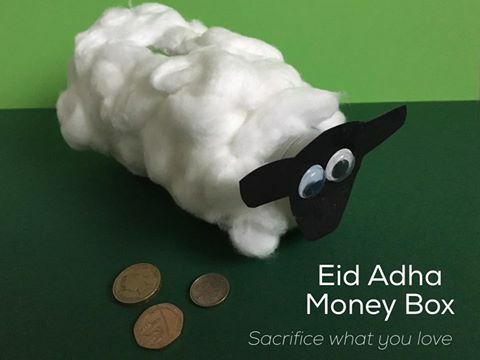 A fun symbolic Eid craft to prompt us to follow in the footsteps of Prophet Ibrahim (as) and to sacrifice what we love for the pleasure of Allah as the little ones allocate a share of pocket money each week towards helping others. Cut a small slit in the middle of a wide mouthed plastic bottle. 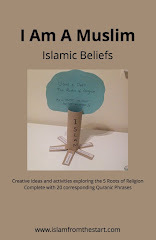 Cover with cotton wool balls using glue. Cut out a face from black card and attach it onto the bottle lid.